Let’s talk about speech and debate. For plenty of schools, it’s just a club but for many it is a team; a highly competitive activity that gives students the opportunity to speak, persuade, inform and entertain in classrooms all across the country. As a competitor throughout high school and college, I learned how to write, how to critically analyze communication around me and perhaps most importantly I learned how to effectively use a platform. Like many forensics competitors, I developed a profound respect and reverence for the art of addressing a captive audience. There are responsibilities that accompany speaking to people, whether it’s a group of five or five hundred. The pressure isn’t just performance anxiety; it’s an obligation to use your allotted ten minutes to make the biggest impact possible. That is not a long time to convince a group of people to take action or understand a new perspective, but thats the challenge. The best speakers I ever had the pleasure of competing against used timing, research, humor, and pathos to command their audiences but regardless of the forum, amazing things can happen when a performer recognizes the perfect moment to say something meaningful. Kendrick Lamar understands this better than any artist alive. On his sprawling 3rd full length album To Pimp A Butterfly, Kendrick Lamar fully recognizes the power of his own voice and is determined to make his message worth hearing. Clocking in at 79 minutes, To Pimp A Butterfly extracts purpose and meaning from nearly every second available on a standard compact disc. This is not a radio friendly album designed to support singles; its a cohesive statement from one of the most conflicted and powerful voices in entertainment. To Pimp A Butterfly doesn’t pander or settle for merely entertaining us, it aims higher, hoping to change and challenge us. Kendrick doesn’t just want to be heard, he wants to be listened to. In collegiate competitive speech, there is an event called Programed Oral Interpretation (POI) where a performer designs and articulates an argument through a verbal collage of poetry, prose, dramatic literature, and music. Its a beautiful and extraordinarily difficult event but when executed properly, the mixed-media approach to public performance can be powerfully moving and persuasive. To Pimp A Butterfly feels like a 79 minute POI. Kendrick bends musical genres from song to song, interjecting spoken word poetry, skits, monologues and interviews along the way. This line serves as the theme and thesis for the album. With full awareness of the scope of his platform, Kendrick is filled with conflict, self doubt and resentment. The wealth and fame earned from the success of his previous albums force Kendrick to confront his own place in the world. On all of his previous material, he raps with a chip on his shoulder, dead set on making it and now on the other side of that tipping point, Kendrick Lamar is working to make it worth while. Though it dances around the idea and takes plenty dark turns along the way, ultimately the message of To Pimp A Butterfly crystalizes on “i”. When released months ago as a single “i” seemed like a radio ready feel good anthem of self-worth but in the context of To Pimp A Butterfly, “i” is given profound new meaning. 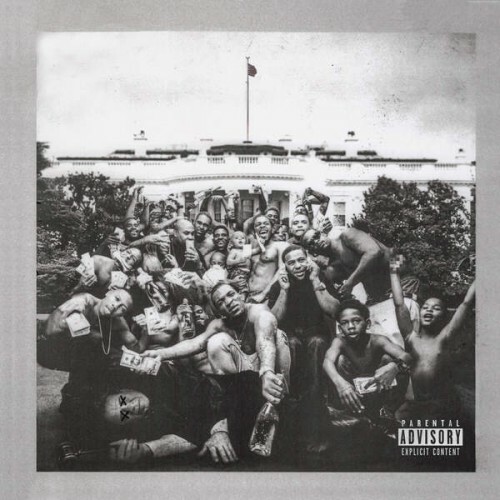 The track on the album isn’t the polished version we’ve heard in NBA commercials, its a gritty live recording that culminates in Kendrick begging his audience to listen to him. Above the din of arguments and chatter Kendrick performs a seemingly impromptu poem about the value of black lives in modern America and the appropriation of the n-word. The song and the poem combine to be a plea for peace in this world that grows more violent every day. When the album suddenly dropped late last Sunday night and the whole world was listening, Kendrick used his voice to preach unity, compassion and the infinite value human life in a way that was conflicted but uncompromising. In the final moments of the album, Kendrick has a ‘conversation’ with Tupac with help from some creative editing of an interview the deceased rapper gave over 20 years ago. They discuss their rise to fame, their survivors guilt about leaving the violent, impoverished neighborhoods that raised them and the responsibility of using their platform with purpose. It ends with with Kendrick Lamar reciting a poem to Tupac about a caterpillar cocooned by a city stuck in a cycle of violence and discontent until a butterflies emerges and inspires a break in the cycle. He finishes the poem and asks Tupac his perspective but Kendrick Lamar is answered only by silence as the album ends. It’s a chilling moment. To Kill A Butterfly is necessary. We need albums like these to shake us awake. We are so ready give anyone a microphone for three minutes, content to be merely amused for the moment. Public performance is too often coopted by politicians and artists motivated by greed and self interest but we deserve better. We barter substance for sugar without a second thought but To Kill A Butterfly is one of those perfect moments when a performer realizes the gravity of their own voice and says something truly, immeasurably meaningful.